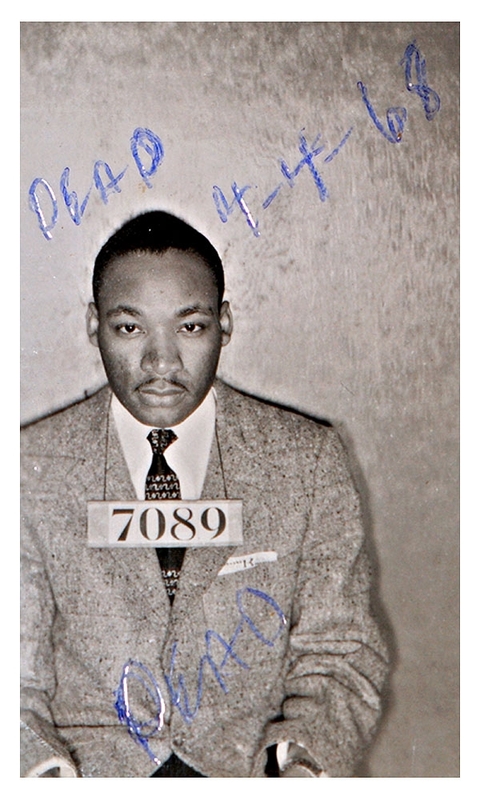 Martin Luther King, Jr. was photographed by Alabama cops following his February 1956 arrest during the Montgomery bus boycotts. The historic mug shot, taken when King was 27, was discovered in July 2004 by a deputy cleaning out a Montgomery County Sheriff's Department storage room. It is unclear when the notations "DEAD" and "4-4-68" were written on the picture. Submitted by clairpie on Tue, 2011-03-15 15:31. Submitted by mongoloteles on Sun, 2011-03-06 15:56. Submitted by roydawgg on Fri, 2010-11-12 02:45.